When I was in school PLC’s were just in their infancy. We were taught that the PLC consisted of the central processing unit (CPU), analog and digital inputs and outputs. Everything was programmed with dedicated handheld devices and/or software devices on specialized hardware. 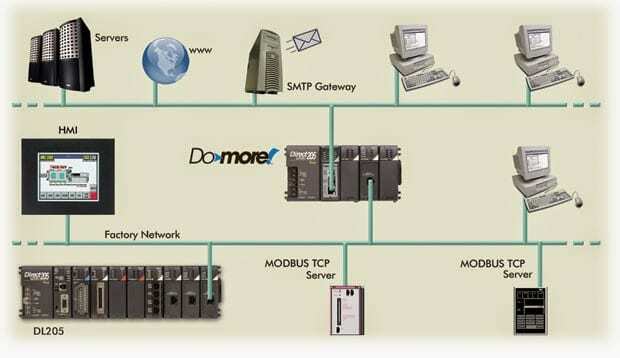 We now have modern PLC systems that are capable of so much more. Let’s look at how we can now break up these modern PLC system into the seven essential components. Every manufacturer will try to set themselves apart by quoting execution time of the program code. This is the speed at which the program is looked at and the physical hardware is scanned or set. The following posts will explain the PLC program scan. 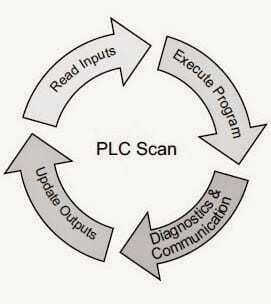 Understanding the PLC Program Scan. People / organizations get ‘locked’ into one manufacturer of PLC by having knowledge and hardware only of one supplier. Training of personal throughout the organization on programming and troubleshooting can be expensive. This is also true of the actual hardware already installed and running on the plant floor. 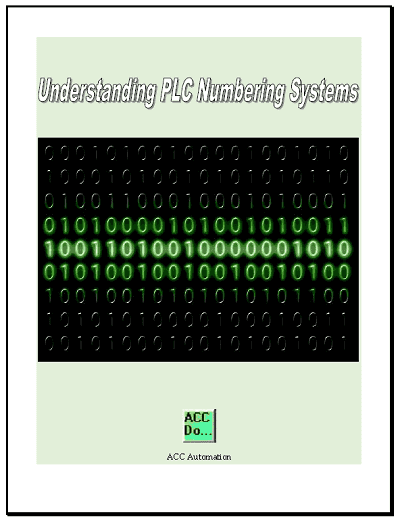 Sizing and actual model number of a PLC is determined by all of the rest of the parts of the PLC system. 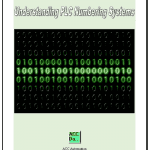 Sizing of the PLC was traditionally done by the number of inputs and outputs that the system will control. When we talk of I/O, this is referring to discrete on/off devices. Inputs would be items like pushbuttons, switches, sensors, etc. Outputs would be items like motors, lights, solenoid, etc. The analog inputs and outputs on a PLC system refer to an input or output that gives us a range. An example of an input would be the weight of a product, speed of the motor, etc. Analog outputs would include setting the speed of the motor, controlling a proportional valve, etc. High speed counters, position control units (2 axis or more interpolated), Basic card modules, thermocouple / RTD input cards, etc. These are just a few samples of specialty cards that are available for specific tasks that the PLC may have to control. Manufactures have started to incorporate allot of these features within the standard PLC unit. Small portable dedicated devices are sometimes available to program and troubleshoot the PLC. However the majority of the time now you will be using a computer running the software from the manufacture to program and troubleshoot the PLC. The computer is usually a windows based machine. Simulators are also very common now when developing and testing your logic. You can limit the amount of troubleshooting required before installing on the factory floor when using a simulator. This may not be available on all software packages. Please refer to the unit you are using. 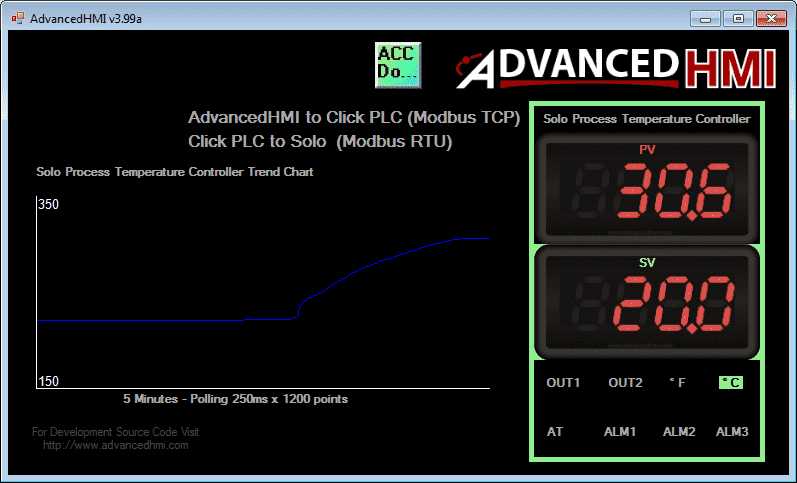 Note: All of the programs used are provided free of charge and are an excellent way to learn PLC / HMI programming. The HMI (Human Machine Interface) is a method in which the operator can control, adjust or troubleshoot the machine. It usually involves a visual screen to display information to the operator and/or touch screen/ keys for input back from the operator. 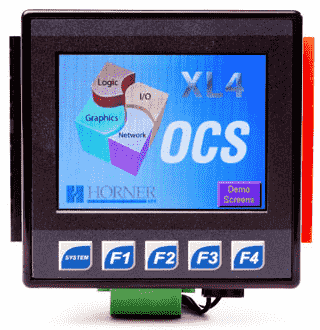 HMI ‘s can be built into the controller or as a separate item through networking. Networking is the ability to communicate to other devices in the system. This will involve the physical and software methods. Physical will be items such as the cable, signal voltages and configuration. Software will consist of the protocol (language) used to communicate so each device understands the other. Modern controllers will often have the ability to communicate to each other in the system by sharing a common memory block. Each PLC will have the ability to write to a certain section and read the entire memory block. This works well in applications where you need to decentralize the control system. (Smaller controllers networked together in a system.) A decentralized system is generally more flexible and quicker. SCADA – Supervisory Control and Data Acquisition – This term is used to describe the ability to retrieve data from the system, make decisions, and store information. Modern controllers will now have open protocols. This means that the information is published on how to communicate on the network. Networking is a large topic. Here are a couple of posts that dive into some of the details. The seven parts of the PLC system gives you a good understanding on what to look for and ask about when specifying a PLC. Manufactures will assist you in specifying the controller by giving you information. The following is the system builder for Automation Direct. Ask your local PLC suppler on sizing your next PLC project.